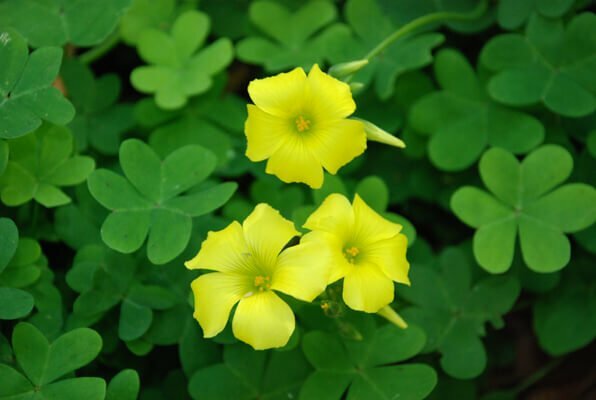 Oxalis albicans (Radishroot woodsorrel) is a perennial herb. It is a small plant that grows up to 6 inches, and gray-green to yellowish green, heart-shaped leaves in groups of three and small yellow flowers all season. The fruits are angular-cylindrical, up to 1.7 cm long, fleshy explosive capsules. 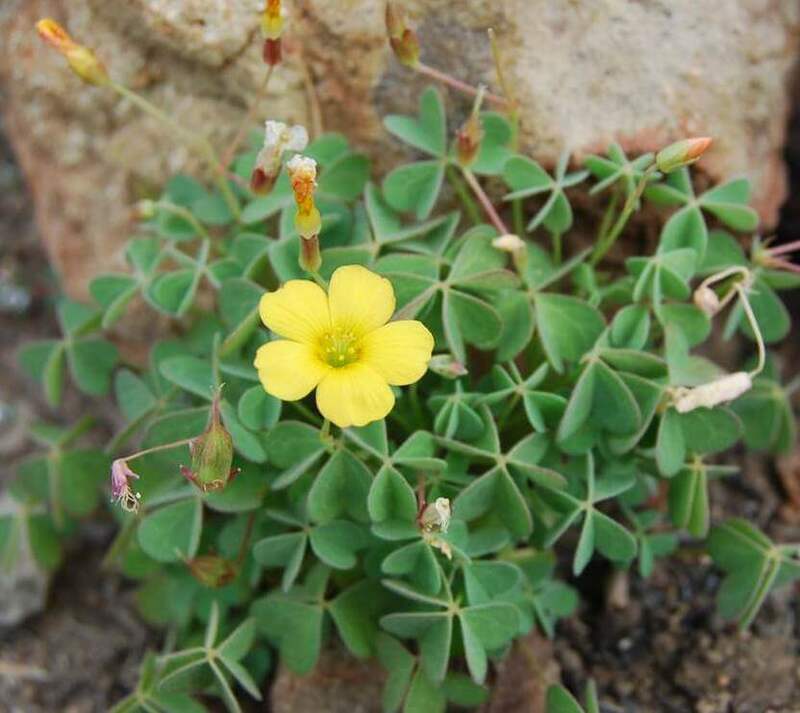 Synonyms: Acetosella albicans, Oxalis corniculata subsp. albicans, Xanthoxalis albicans. It thrives best in bright indirect light. It grows well in a rich, organic, well-drained, any good potting mix. Water regularly, keep soil evenly moist but not soggy. Allow the top inch of soil to dry out between each watering. It grows best in cool temperatures between 60ºF to 70ºF / 15ºC to 21ºC during the day and 55ºF to 65ºF / 13ºC to 18ºC at night. Fertilize monthly in the spring and summer when it is actively growing with a basic houseplant food at ½ the recommended strength. Never feed an Oxalis when it is dormant and the bulbs are resting. It can be easily propagated by division or seed. Oxalis albicans has no serious pest or disease problems.